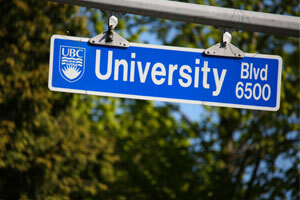 The UBC neighbourhood is primarily known as the site of the city’s renowned University of British Columbia. Established in 1899, the school is the oldest institution of higher learning in Vancouver, with nearly 60,000 students enrolled annually. Ranked as one of the world’s top 40 universities, UBC has produced seven Nobel Prize winners, two prime ministers and 65 Olympians. The neighbourhood encompasses the University Endowment Lands, an unincorporated area located between Vancouver’s centre and the university. Pacific Spirit Park – one of the three parks experienced by BMO Vancouver Marathon runners – is also situated here. With numerous hiking trails, beach access, estuary marshes and wooded ravines, Pacific Spirit Park is perfect for a walk, jog or cycle. The campus is also well known for its UBC Botanical Garden. Founded in 1916, the Botanical Garden contains over 8,000 types of plants from around the world, an alpine garden, food garden, and physic, medicinal garden. The site’s main feature includes an Asian garden called the Nitobe Memorial Garden and is considered to be one of the most authentic Japanese gardens in North America. Also situated within the natural landscape of the campus amidst evergreens and rhododendrons is the university’s Chan Centre for the Performing Arts. The centre hosts university classes, rehearsals and performances for different UBC departments as well as yearly performing arts for the general public. Performances range from classical recitals and jazz concerts to avant-garde theatre and opera productions, to folk and world music. 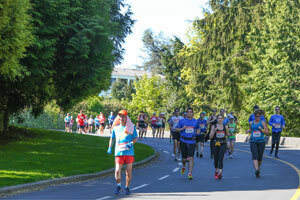 UBC is the largest neighbourhood on the BMO Vancouver Marathon course, with runners venturing through approximately 9KM. UBC is also home to Vancouver’s famous Wreck Beach, a gorgeous, clothing-optional sandy stretch where locals go to sunbathe during the warm summer months. From here on out it’s all shoreline views for Marathon runners.